Firsteye are an SSAIB Registered Installer fitting, servicing and maintaining insurance approved intruder and burglar alarms. We are based in LS25 and serve Leeds, Selby, York, Harrogate, Wakefield and surrounding areas. 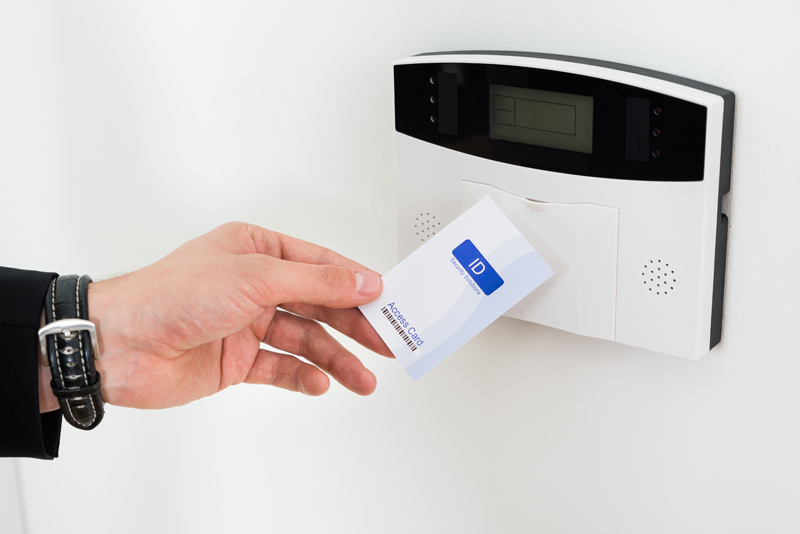 We can fit wired alarms or the latest in wireless alarm technology, with multiple zone panels capable of covering any size and type of business or commercial premises no matter how big or small. 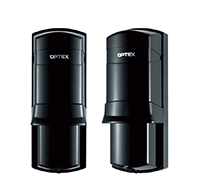 For highly effective protection for your premises, we have a solution to meet your needs. With the advantage of straightforward setting, unsetting, control and monitoring via an app, we can easily add and remove users, giving you complete control over who in your company can assess the alarm. 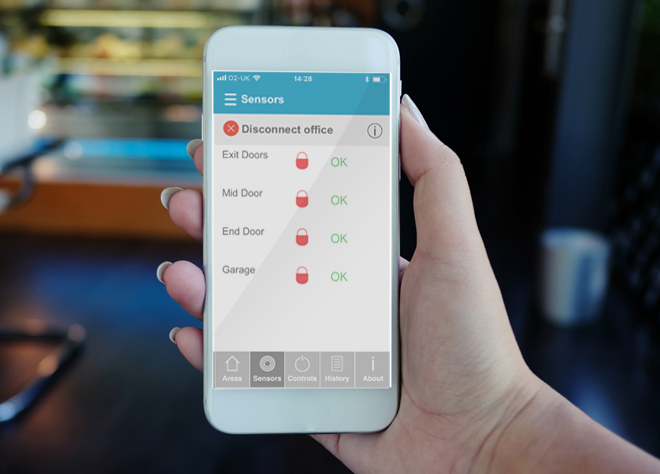 The systems we fit are known as audible only alarms, but with the added benefit of a clear alert being sent directly a keyholder’s smartphone, tablet or PC without the need for costly monitored and police response systems. Many large environments such as warehouses or outdoor storage yards are best protected by infra red beams as well as PIR sensors. The advantage of infra red beams is that they run point to point, allowing the alarm system to pinpoint exactly where an intruder might trigger a beam, and can cover distances of up to 100 metres. They are more accurate than the PIR movement sensors and less likely to pick up on troublesome environmental factors like trees blowing in the wind. Infra red beams can also be set at a height to avoid being triggered by wildlife which can otherwise cause multiple false alarms in an outdoor environment. Firsteye have successfully installed infra red alarm beams in warehouses, container storage yards, waste processing sites and transport haulage depots. Infra red alarm beams are weatherproof, reliable, and suitable for both wired and wireless alarm installations. As an SSAIB Registered Intruder Alarm Installer, we will risk assess your property and grade your alarm according to SSAIB criteria. All our intruder alarms meet the required installation standard to conform to European Standards BS EN 50131 series. EN 50131 defines four grades of Intruder alarm system, 4 being the highest. The grade is measured by how resilient the alarm system is to attacks by intruders and other outside influences. All components of the system are graded, including the control panel, motion detectors (PIRs) and signalling equipment. Most commercial premises will require a Grade 2 or 3 alarm system. The majority of insurance companies require a Grade 3 system where the system is a requirement of insurance cover. The risk assessment includes a location survey and a technical survey. The location survey covers the nature of the building and how easy it would be to break into, and the contents of the building according to how desirable they are and how likely to be targeted. The technical survey covers factors influencing the design of the system, including any factors that might affect the performance of the system such as localised electrical interference. We’ll also take into account any requirements from your insurer that you inform us of.